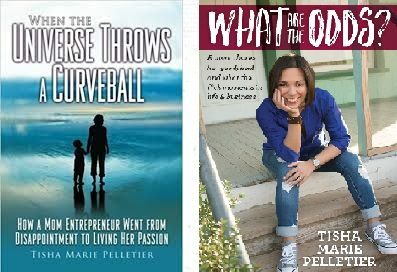 Now that my books When the Universe Throws a Curveball and What Are the Odds: A mom shares her good, bad and what the f*ck moments in life & business are out in the world and people are reading and resonating with it, it occurred to me that my story doesn’t end just because the books did. There are so many more Tisha adventures that have happened since finishing the last chapter of my book in December 2017 that I’m dying to share with you. I guess it’s true what they say. Once you write a book, you can’t ever stop writing. Look for more posts coming soon here on what other “curveballs” life’s been throwing me, along with more rule of life lessons I’m learning every single day. On a side note, if you’ve read any of my books, I’d love to hear what you thought. Drop a comment below or email me at tisha@tishamariepelletier.com.